I took this picture at noon today near the reservoir in Central Park. I love working in a place where I can step outside and be surrounded by beauty in an instant. I sat on a bench for 15 minutes. I set aside my smartphone and looked around. And the two, the caregiver and the granddaughter, both stroked the older woman’s hair. The woman in the wheelchair was unresponsive. But the two were undaunted. They were loving. They kept talking to the grandmother, caressing her. Noticing their affection feeds my soul, makes me realize that people are basically good. And ultimately, love wins. 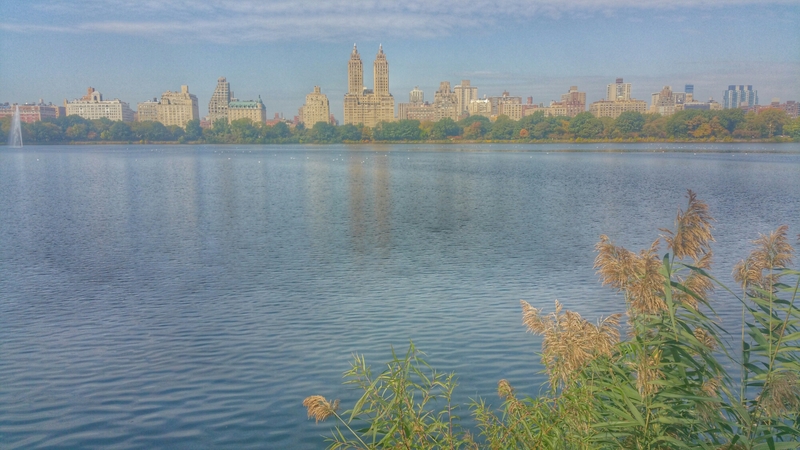 The reservoir in Central Park is a popular tourist spot. It is so vast. And seems, almost an anomaly. Maybe even obsolete. But the reservoir in the middle of a city park is necessary — a place to rest or glance across. A place for ordinary kindness. So needed. So natural. So true.